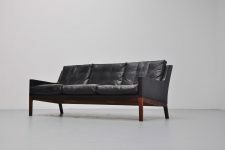 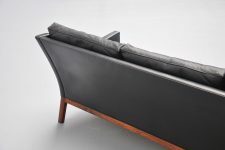 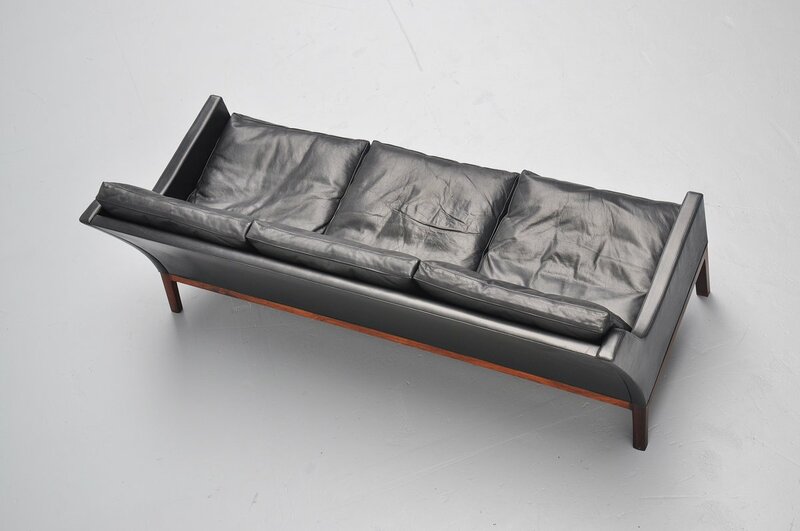 Very nice shaped lounge sofa designed by Kaj Lyngfeldt Larsen for Søren Willadsen, Denmark 1960. 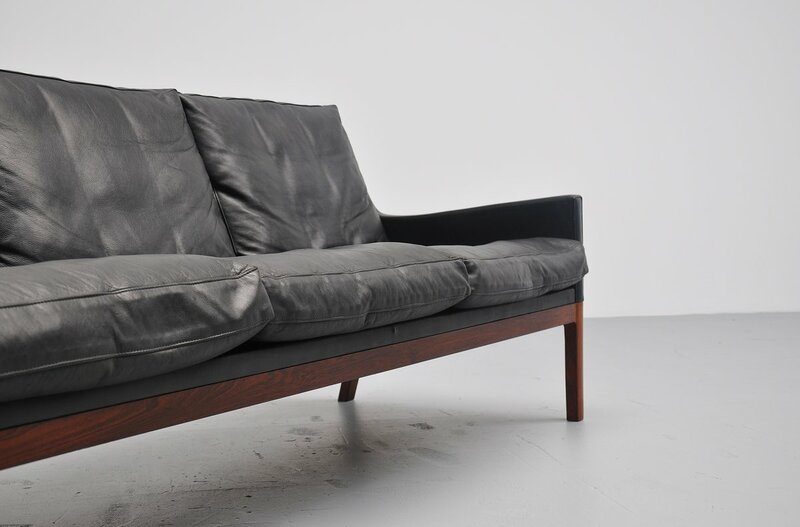 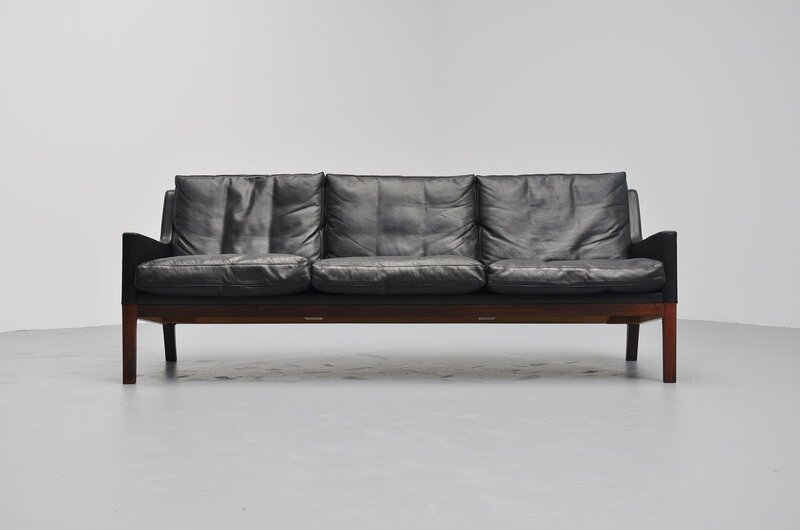 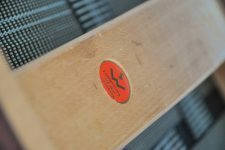 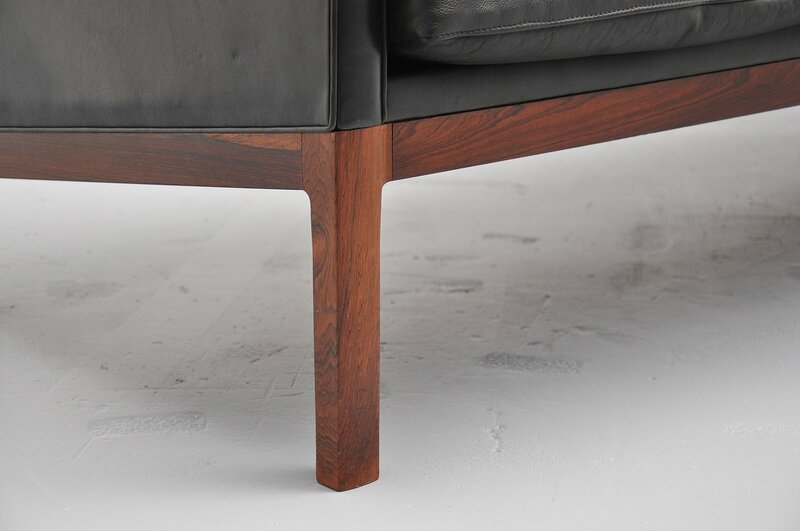 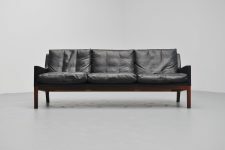 This sofa has a solid rosewood fra me and high quality black leather upholstery. 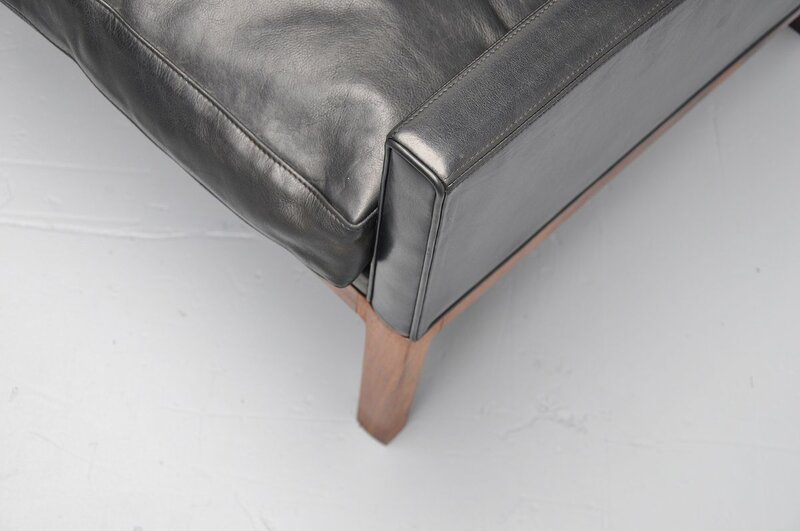 The leather is polished with a leather care product and looks great. Super comfort seating with feather filled cushions. 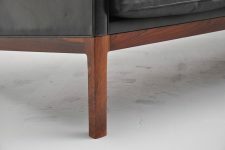 Marked accordingly.